In 2015, the Russian Defense Ministry plans to focus on boosting military capabilities in Crimea, the Kaliningrad region, and the Arctic, while carrying out other planned modernizations of the armed forces and drafting a new long-term defense plan. “We are drawing up a new Russian Federation Defense Plan for 2016-2020 to ensure timely placing and obligatory fulfillment of state defense orders in 2015 to have modern models of weapons and military equipment as planned,” Defense Minister Sergey Shoigu said, as Moscow refocuses its major rearmament plan, worth over 20 trillion rubles ($310 billion) over the span of 10 years, according to anew military doctrine. 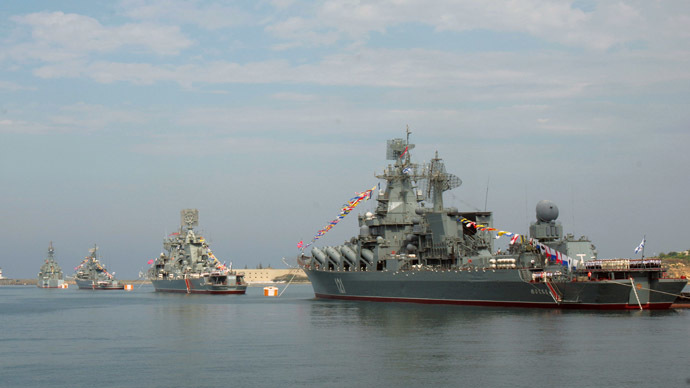 Russia’s chief of General Staff, Valery Gerasimov, said that in 2015 Russia will focus on reinforcing its military on the Crimean peninsula, the Kaliningrad Region, and in the Arctic. “In 2015, the Defense Ministry’s main efforts will focus on an increase of combat capabilities of the armed forces and increasing the military staff in accordance with military construction plans. Much attention will be given to the groupings in Crimea, Kaliningrad, and the Arctic,” Gerasimov said on Tuesday. In the Arctic, deputy Defense Minister Gen. Dmitry Bulgakov specified that Russia will rebuild an additional 10 military airfields in 2015. “We will reconstruct 10 airfields in the Arctic region this year, which will bring the number to 14 operational airfields in the Arctic,” he said. A new branch of the Russian military, the Aerospace Defense Force, will be formed in 2015, ahead of schedule, through the merger of Air Force and Space Forces. “A new type of armed forces will be created in 2015, the Aerospace Defense Force, by merging two already existing military forces: the Air Force and Space Force,” Gerasimov said, as Russia continues developing a reliable space echelon of the early-warning radar system to detect missile launches. 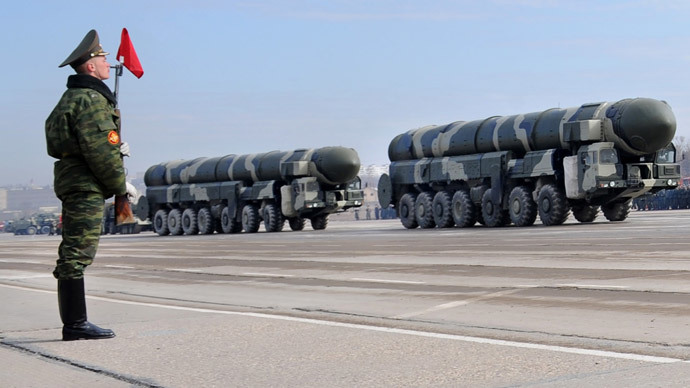 This year, Shoigu said that Russian armed forces are set to receive some 700 armored and 1,550 other vehicles, 126 planes, 88 helicopters, and two Iskander-M missile systems. The navy will receive five surface warships and two multi-purpose submarines. In 2015, one year ahead of schedule, the military will commission a radar station Voronezh-DM in the Siberian town of Yeniseisk. 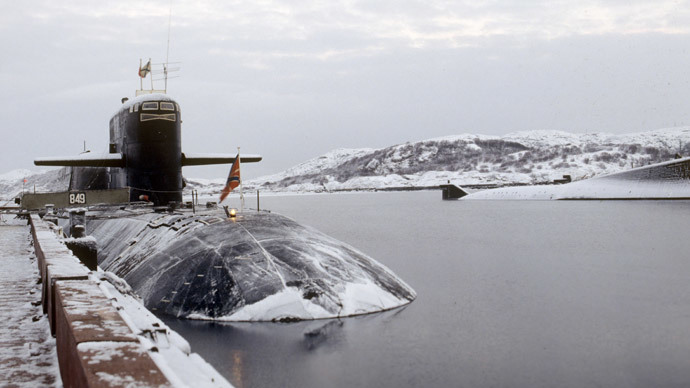 A similar one in Barnaul, Russia's Altai region, will be erected six months ahead of schedule, the defense chief said. A network of joint warfare training centers will be set up in every Russian military district, which by 2020 will all be interconnected by a single virtual battle space, according to the minister. In order to raise the professional level of its troops, the military hopes by the end of 2015 to recruit 52,000 contract soldiers, in addition to conscripts. 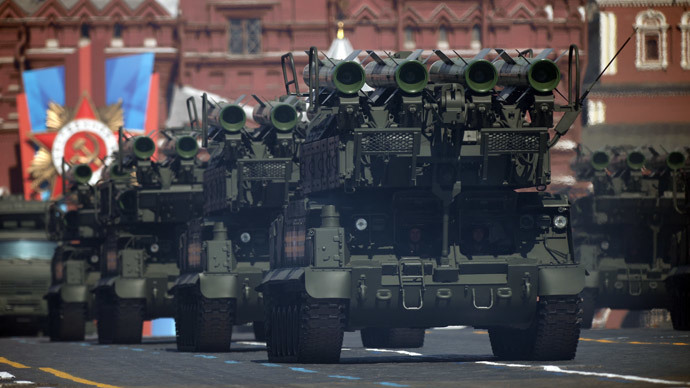 The announced upgrades to Russia’s military capabilities fall in line with the newly updated version of the military doctrine, which reflects the emergence of new threats against its national security. NATO military build-up and the American Prompt Global Strike concept are listed among them. As part of the overall effort to increase security and battle readiness amid hyperbolic warmongering rhetoric from NATO, Russia’s Defense Ministry announced in December that tens of thousands of Russian troops would take part in Center 2015 strategic exercises that would be held simultaneously in several areas both in Russia and abroad. 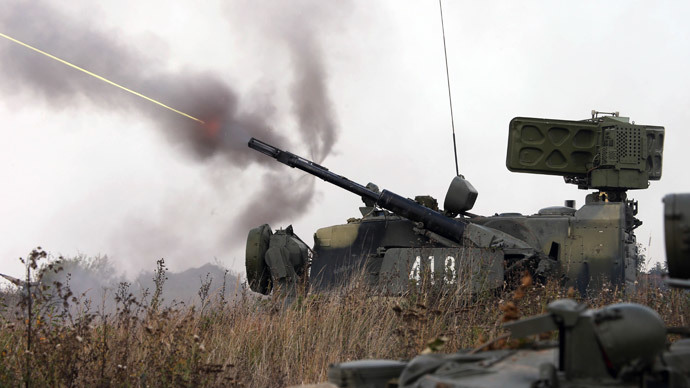 In total, the ministry announced it will hold about 4,000 various combat training missions in 2015.